Bill Nash holds a BA in English Literature from Emory University. 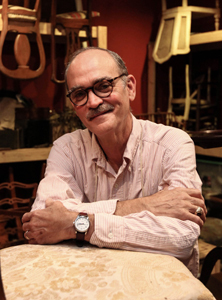 He has served Jacksonville and the southeast since 1984 as an antiques dealer and restorer, specializing in 18th and 19th century English and Continental furniture. He apprenticed under an Old World cabinetmaker, learning the craftsmanship he practices today. 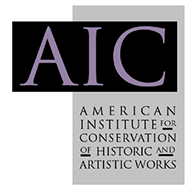 He is an associate member of the American Institute for Conservation of Historic and Artistic Works (AIC). After years in the field, Bill completed the formal training required to become an accredited appraiser of antiques and decorative arts. He holds a Certificate in Appraisal Studies in Fine Arts and Antiques from the University of Georgia in partnership with the American Society of Appraisers. Bill was certified in the Uniform Standards of Professional Appraisal Practice (USPAP) in 2006, 2012, and 2015. He is an Accredited Senior Appraiser designated by the American Society of Appraisers (ASA), with a specialty in antiques and decorative arts. He is presently pursuing studies required for fine art accreditation. 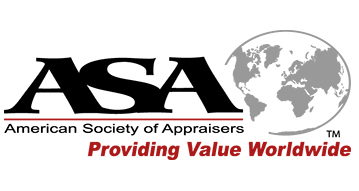 William Nash holds a BA in History from the University of Georgia and a Certificate in Appraisal Studies in Fine Arts and Antiques from the University of Georgia in partnership with the American Society of Appraisers (ASA). William joined the firm in 2008. He was certified in the Uniform Standards of Professional Appraisal Practice (USPAP) in 2010 and again in 2015. He is a Candidate Member designated by the American Society of Appraisers (ASA) and an associate member of the American Institute for Conservation of Historic and Artistic Works (AIC). 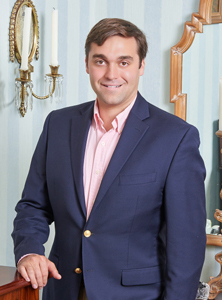 One of the southeast’s up-and-coming experts on antiques and decorative arts, William is carrying on the trade and tradition of his father, Bill III, who has been named “second to none” on the First Coast for his work as an antiques restorer and conservator. Among the nation’s youngest in his field, William has a passion for history and tradition and is revitalizing the world of antiques for the next generation. He frequently writes and lectures on a wide range of topics from conservation and collecting to appraisal ethics and methodology. 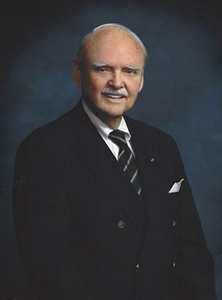 E. William “Bill” Nash, Jr. holds a Bachelors of Business Administration from Emory University, as well as a CLU from the American College of Life Underwriters. After a 38 year career as a senior Prudential executive, Bill retired as president of the South-Central Home Office in Jacksonville. A lifetime collector of art and antiques, Bill began his second career when he and his son founded E.W. Nash & Son in 1984. For over 30 years, Bill has been an active advisor and consultant for the firm. In addition to his advisory role with E.W. Nash & Son, Bill has served as past chairman of the boards of the Jacksonville Symphony Orchestra, Jacksonville University, the Jacksonville Port Authority, the YMCA, and the United Way, and past president of the Jacksonville Chamber of Commerce and many other organizations. He is a past chairman of the Board of Directors of the Jacksonville Branch of the Atlanta Federal Reserve Bank and served on numerous school boards including Emory University, Jacksonville University, the Episcopal School of Jacksonville, and Riverside Presbyterian Day School.